On the 19th (Fri), stroll around Ibirapuera Park, don't miss a visit to Paulista Avenue, and then browse the fresh offerings at Mercado Municipal de São Paulo. On the 20th (Sat), you'll have a packed day of sightseeing: admire the masterpieces at Museu de Arte de Sao Paulo Assis Chateaubriand - MASP, explore the world behind art at Pinacoteca do Estado de Sao Paulo, and then see the interesting displays at Museu da Lingua Portuguesa. To see reviews, maps, traveler tips, and more tourist information, refer to the Sao Paulo trip itinerary planning app . Use the Route module to find travel options from your starting location to Sao Paulo. In April, daily temperatures in Sao Paulo can reach 30°C, while at night they dip to 20°C. Finish up your sightseeing early on the 20th (Sat) so you can go by car to Guaruja. Less than 100 km (60 mi) from Sao Paolo, the busy beach town of Guaruja remains unconditionally devoted to tourism, charming visitors with more than 20 well-developed beaches tailor-made for surfing, swimming, and soaking up the sun. Start off your visit on the 21st (Sun): kick back and relax at Tombo beach and then kick back and relax at Enseada Beach. 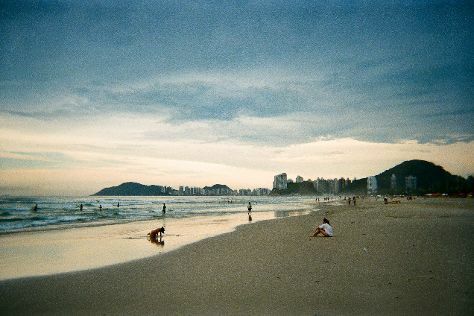 For more things to do, traveler tips, photos, and other tourist information, read Guaruja trip planner . Getting from Sao Paulo to Guaruja by car takes about 1.5 hours. Other options: take a bus. In April, daytime highs in Guaruja are 32°C, while nighttime lows are 23°C. Finish up your sightseeing early on the 21st (Sun) so you can go by car back home.